In november 2013 a guy called Aleksandr sent us an email asking our input for a design problem. 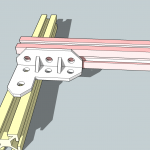 He sent us an email with some Sketchup pictures laying down the problem. He also made some sketches of possible solutions. The brackets he proposes will not be taken into production, but the sketches are great to discuss here. 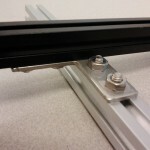 They clearly demonstrate a design problem we often encounter with MakerBeam. 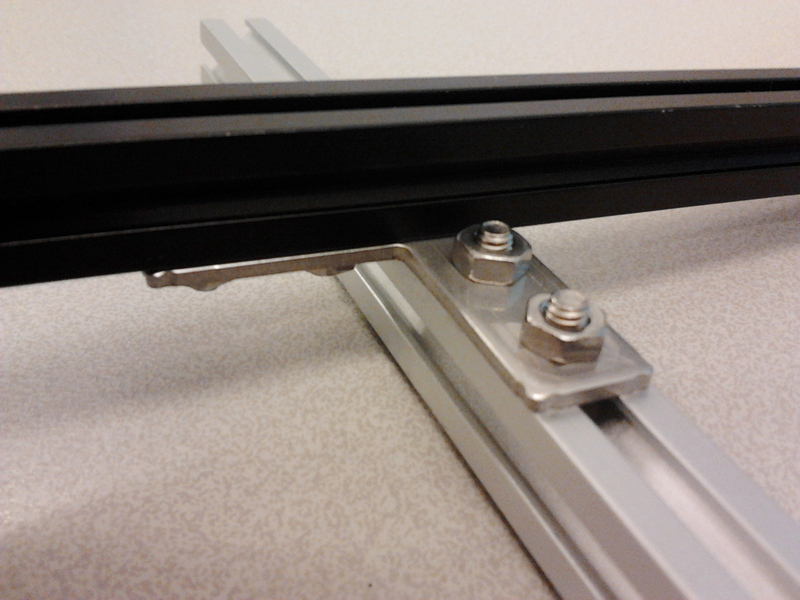 In working on our stepper motor brackets for example we encountered the same problem. 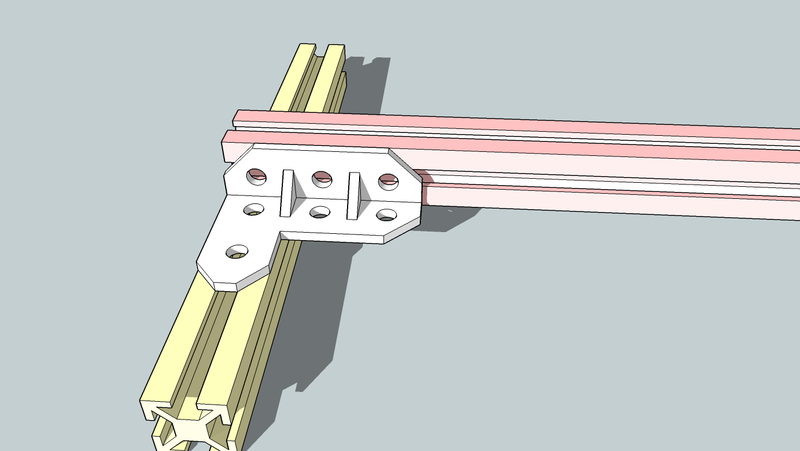 The problem in short: MakerBeam is definitely small in size! First the problem Aleksandr had. Aleksander wanted to connect beams crosswise, see below. He also made pictures of possible brackets that will solve this problem. He was thinking of what looks like a combination of the 90 degree bracket and the corner bracket. We could see his problem. We could also see that this problem could be easily solved by our right angle bracket. Back then we just had received some samples. This helped to explain Aleksandr we were working on a solution. You can see his drawings below and a picture of our solution at the far right. 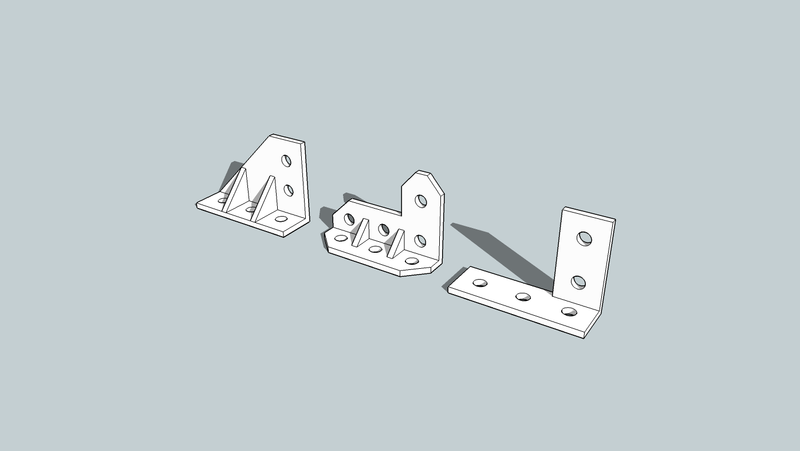 The brackets suggested by Aleksander make clear it is not easy to create brackets for MakerBeam. Here is an overview of his suggestions. What is not immediately obvious from these drawing is the problem of space. 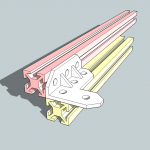 The corner style brackets leave no room a nut driver. Or, since you do need a nut driver, it is better said they leave no room for the bracket itself. Let’s do the math. The diameter of the nut driver is 8mm (nut outside dimension: 5,5mm). 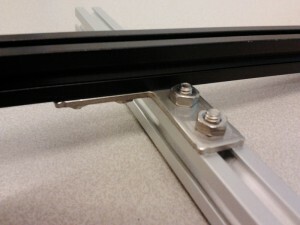 The width of the beam is 10mm. This leaves for ony 1mm of space on both sides for the material. This is too thin for metal to make a strong corner connection. The diameter of the screw by the way is 2,8mm (M3). 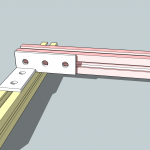 The right angle bracket is a much simpler solution. It is now available in our shop. Here is a link. Leaving room for a hex nut driver is something that is overlooked in a number of bracket designs we received. We love to hear ideas regarding brackets and are always looking forward to receive new ideas for brackets. 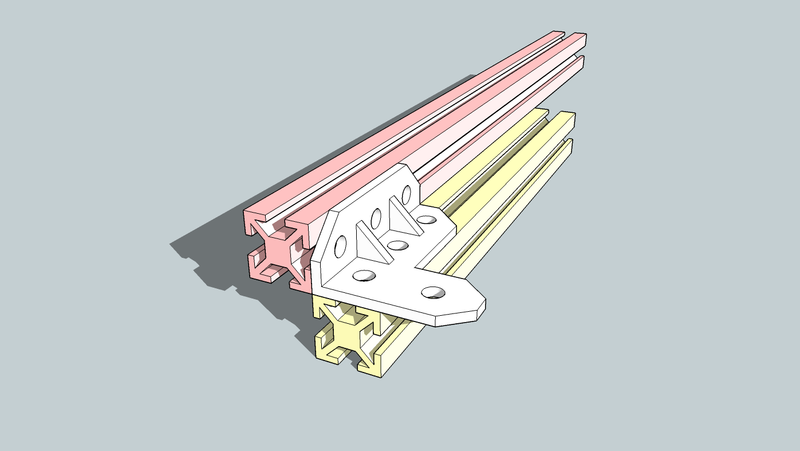 Or for other products suited for MakerBeam (and OpenBeam) for that matter. 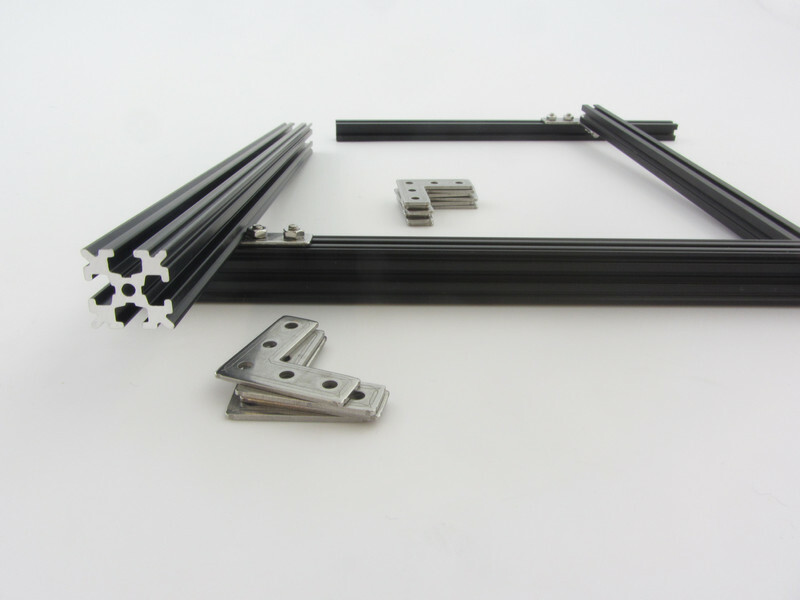 If you think of designs remember MakerBeam is a wonderful small and lightweight product with the emphasis on small! A new product is available! 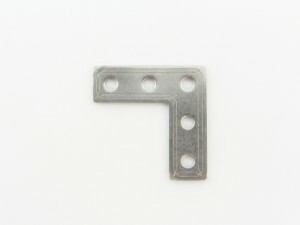 It is the right angle bracket pictured below. To see the product in our webshop click here or on the picture. The introduction of a new bracket is a good start for the new year we thought. 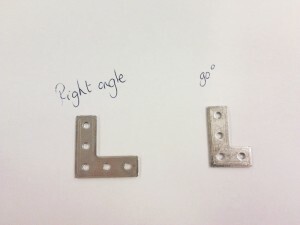 This right angle bracket is very similar to the 90 degree bracket. 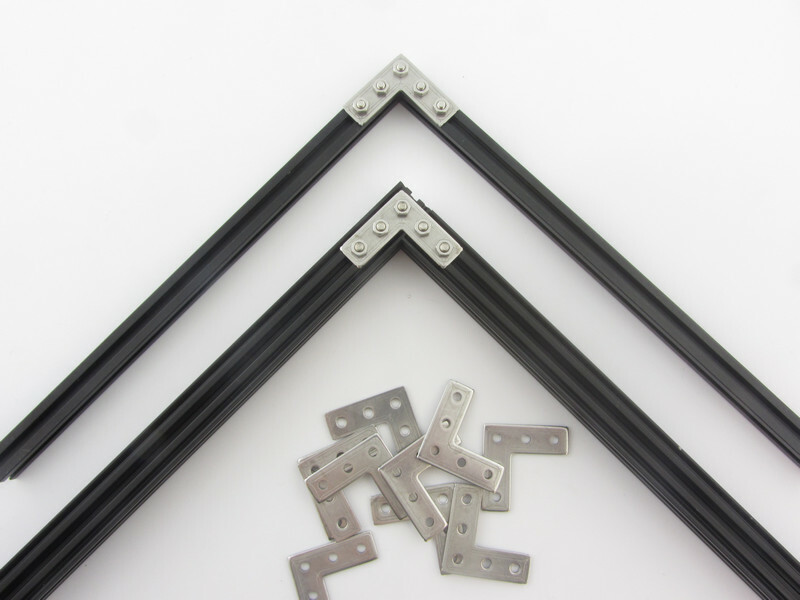 It’s right angle shape however gives the opportunity to connect the beams crosswise. 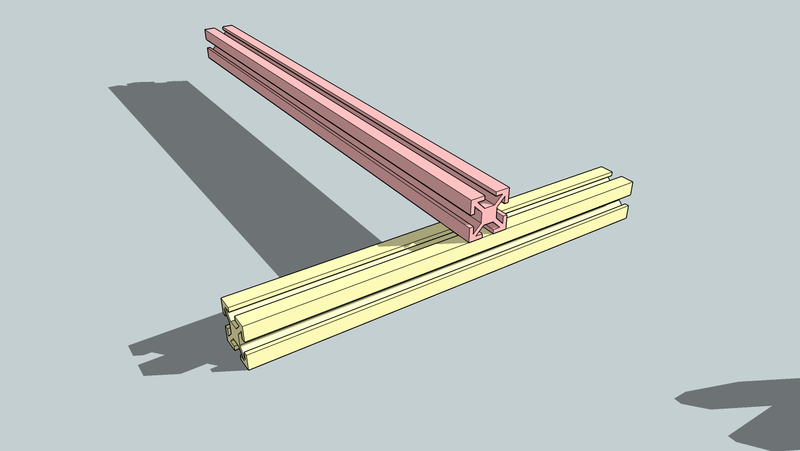 And with beams we mean both OpenBeam and MakerBeam beams! This fastener is suited for both. Below are a few more pictures. 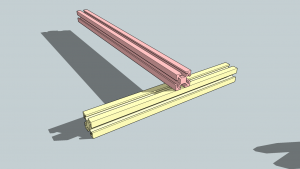 A cross connection of the beams is possible. 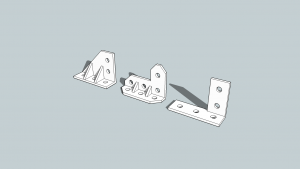 The right angle bracket is suited for both OpenBeam and MakerBeam.